Joe Mynhardt runs Crystal Lake Publishing in South Africa. 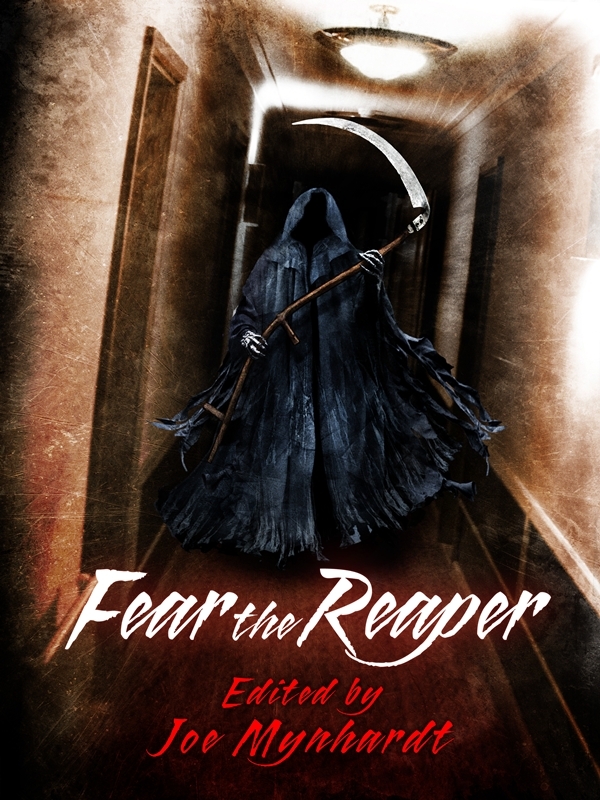 He publishes horror and dark fiction in both paperback and e-book format. Read non-fiction books, especially about marketing. You’ll need it eventually. Always be open and ready for opportunities. Have confidence in yourself. Every small step becomes part of the bigger journey. Have a story or two on standby at all times. Write every day, even if it’s only 10 minutes. Learn how to edit your own work. Be as visible as possible on the internet. Be professional in everything you say and do. Growing a tough skin goes a long way in not acting like an emotional roller coaster on social media. Think before you post on impulse! Help others as much as you can, even if you just share or re-tweet/re-blog their stuff. Celebrate their successes with them, and don’t be jealous. One day you may be grateful for their help! Eat, breathe and sleep stories, but take time to rest. Writer’s fatigue is no joke. Take some time to just sit and think about creative things to do, whether they’re story or promotion ideas. Don’t listen to negative thoughts. You’ll have off days when you’ll just have to ignore yourself. Take care of your body, especially your back and wrists. Being an author is not a race, but a marathon that never ends. If I had to pick out just two of those points as being the most important I’d go for ‘Write every day’ and ‘Don’t listen to negative thoughts’. What about you? Joe is currently running a competition on the Crystal Lake Publishing website. First prize is e-book copies of the first seven books published by his company so far. Details are here. It closes 31/12/2013. And do have a look at the brilliant covers on the Crystal Lake books – some of them are quite terrifying! This entry was posted on December 22, 2013, 9:00 am and is filed under Competitions, Markets, Short Story, Writing. You can follow any responses to this entry through RSS 2.0. You can leave a response, or trackback from your own site. That sounds like good advice. I’d pick the first two as most important. Thanks, Patsy – a good choice. Many people dream of getting rich by writing a book but they never pick up a pen or read much either. Thanks for hosting me, Sally. Have a great festive season. It’s a pleasure, Joe and Merry Christmas to you and yours too! All good sound advice here, Sally, and relevant to all writers no matter what genre they write in. My own ‘best’ one would be ‘don’t listen to negative thoughts’. Thanks for the kind words, Tracy. Helping others is important – as you say it gives you a real boost when people are willing to lend a hand. As for daydreaming – I probably do too much of that! There’s some very good advice here, Sally. Hope you have a lovely Christmas. A Merry Christmas to you too, Wendy! Apart from Read and Write (well, duh! ), I would say being open to opportunity is vital. Good point, Julia – if we don’t grab those opportunities then our work will never see the light of day. All The Grim Reverend Steven Rage has to say on this advice is…. CHURCH!! I think my two top points would be, write every day and learn how to edit your own work. Hope you had a nice Christmas. Christmas was good, thanks and I hope yours was too. Wishing you writing success in 2014. Great post Sally. I think take care of your body is really important. Doing that nano gave me back and neck ache, and wrist ache. Oh I’m moaning too much now. Loved your Sutton Park slot in WW this week. Great photo. Popped over to wish you Happy New Year. I know what you mean about the aches & pains, Susan! No way could I write like that all year! Haven’t seen WW this week – thanks for the head’s up and I’ll be out to buy it tomorrow! Happy New Year to you, too!